D.J. Augustin is an American professional basketball player who plays in the National Basketball Association (NBA). As of 2019, D.J. Augustincurrently plays for the Orlando Magic as their Point guard. D.J. Augustin has played for other teams like Charlotte Bobcats, Indiana Pacers, Toronto Raptors, Chicago Bulls, Detroit Pistons etc. As a Point guard, D.J. Augustin reportedly earns around $7,250,000 as his yearly salary from the Orlando Magic. FurtherD.J. Augustin has an estimated net worth of over $20 million. As of 2019, Augustin has an estimated net worth of over $20 million. He reportedly signed a four-year contract with the Orlando Magic in 2016. Further, the NBA player has an average salary of $7,250,000 annually. Other than being a famous NBA star, D.J. Augustin is pretty famous in social media. He has about 8,239 followers with 1k likes on average and has about 307 followers on Twitter. D.J. Augustin is married to Brandy Augustin since August 4, 2012. The couple tied the know in a ceremony held at St Joseph Catholic Church in Tulane Ave. He has a happy life living with his parents and a life partner. There is no information about D.J. Augustin having any kids. D.J. Augustin is the son of Darryl Augustin Sr. and Vanessa Augustin. He has a very good relationship with his family members. He does not have any brother-sister nor any siblings. D.J. Augustin was born on November 10, in 1987. His father's name is Darryl Augustin Sr. and his mother's name is Vanessa Augustin. As per his nationality, he is American. Further, his star sign is Scorpio. D.J. Augustin attended Brother Martin in New Orleans where he played for his high school basketball team. D.J. Augustin, in his high school career, held an average of 29 points and 8 rebounds. After completing high school, he enrolled at Texas and played for Longhorn. He was one of seven freshmen to join the Longhorn where he averaged 14.4 points and 6.7 assists per game. D.J. Augustin is a professional basketball player. Currently, he plays for Orlando Magic. D.J. Augustin signed a four-year contract of $29 million contracts with the Orlando Magic in September 2012. D.J. 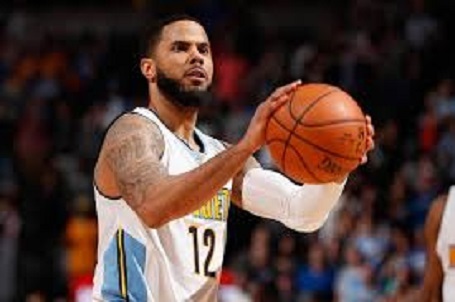 Augustin has nearly triple-double with 15 points, 10 assists and nine rebounds in a 105–99 win over the Phoenix Suns on March 24, 2018. D.J. Augustin was born on November 10, 1987. He is 6 ft 0 inch tall. He is the 6th best-paid player of the Orlando Magic this year. NBA Chicago Bulls Detroit Pistons Orlando Magic Indiana Pacers Toronto Raptors Darryl Augustin Sr. Vanessa Augustin. Longhorn.